A good day at the office is a rare thing for Jose Mourinho these days, but today was exactly that. The Manchester United manager finally got a win under his belt after two consecutive losses in the Premier League. His team beat Burnley 2-0 at Turf Moor, with star striker Romelu Lukaku getting both goals. 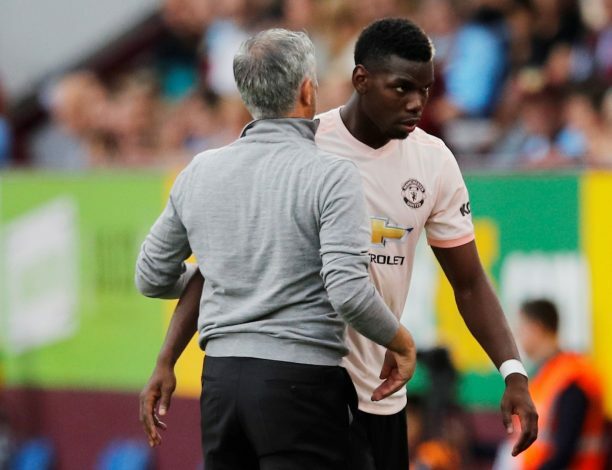 A game that was heading to a comfortable 3 points for Mou’s men was suddenly brought into chaotic life by the referee, who first offered United a penalty, and later in the game, sent off Marcus Rashford for an alleged headbutt on Bardsley. Paul Pogba, who has already scored twice from the spot this season, stepped up to try to score his side’s third goal of the game. The penalty was taken in perfect Pogba fashion, that included a never-ending slow run-up. However, Joe Hart was a man on a mission in goal, and he successfully kept out the Frenchman’s effort by guessing right and diving to the left. Whoever said there was anything wrong between the pair?